COCOA DESIGN LIFE: Where are you at this moment ?! 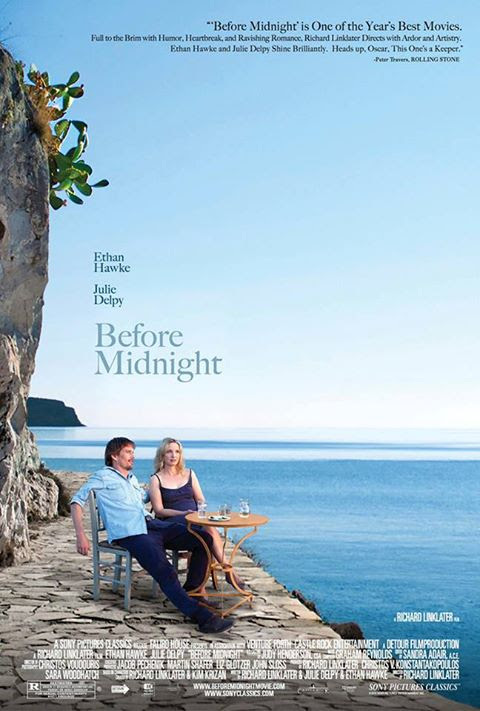 If you like Julie Delpy and Ethan Hawke, these are the must see movies. Before Sunrise was the first one I had watched on T.V. at Pearl 930.... well, years and years ago. Two young strangers met on a train in Europe, they spent a whole after night at Vienna together, sharing hopes, joys, dreams, and love....then returned on train at dawn and aparted to their own destination. They were both more mature, having their own business and experience. Once again, they unfolded as much as they could before they had to apart again at dusk. Life altered after the first met, but love remains. There was an open ending in this story, whether Jesse could/would capture his plane back to US? or stayed with Celine? Another nine years pasted, I had to find out the real face of true romance between Jesse and Celine. This time, I went to the theatre, flied to Greece, learned a lesson before midnight. Life is amazing, because it is a learning path that everyone has to participate into, no short cut, no forever romance, no unawakened dreams. It mold you to become what you are from teen to mid age. this is what we need to walk and grow together with Jesse and Celine, not only in their but our life, too. I have to leave you now and enjoy my "triple up" !